The skin tools page is to inform the reader with an in depth overview of DMK’s new skin tool products. DMK CELLerator uses Micro Current Technology to gently massage DMK serums into the delicate skin around the eye area or as directed for specialised results by your DMK Therapist. Accelerate the advanced delivery system of DMK Eye Tone and other repair products to build confidence from the outside in. Install AA battery (not included) in the wand ad cover the battery before use. Perform your daily DMK Remover, Repair and Protect prescriptive routine. Apply Eye Tone around the delicate areas under the eyes and to the sides of the eyes. 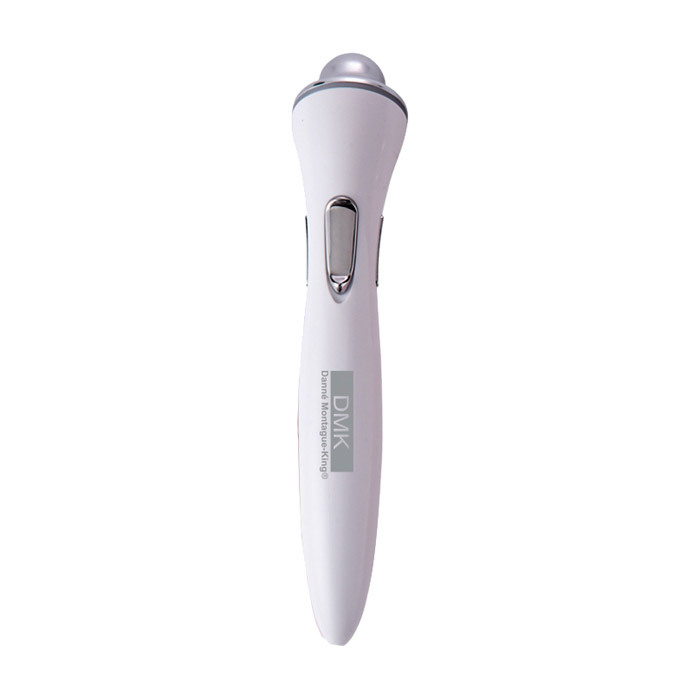 To activate the vibration frequency technology, switch on the CELLerator, hold the conductive metal bars, and touch the micro-head to the skin. Gently massage the product into the treated area around the eye or as directed by a DMK therapist for up to 5 minutes, 3 times per week. After treatment, clean the end of the wand with a soft, dry tissue of cloth. Do not rinse or immerse in water.